To add a song category, go to Songs > Categories. Once this page loads, click on ‘Add Category’. 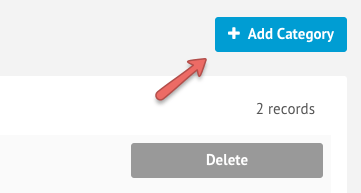 Enter a title for your category, and then click ‘Save’. 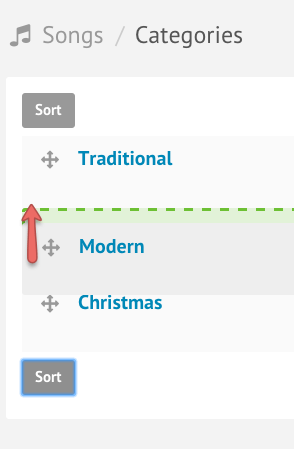 The new category should appear on the bottom of the table. 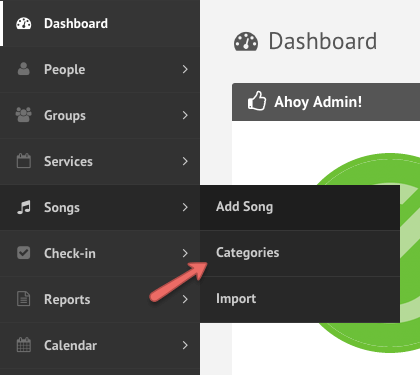 To sort the order the Song Categories appear for a song, simply drag and drop the category to an order you prefer.